Most cats avoid water but accidents do happen. Cats are able to swim but can get into trouble if they fall into water and are unable to get out, get caught in flood water, fall through the ice, have a seizure or hypoglycemic event (low blood sugar) near water and fall in. Near drowning is classed as survival after water submersion in which the cat has survived for longer than 24 hours after the incident. Kittens, senior cats and those with underlying medical conditions are at greatest risk. How does near drowning occur? Most cats prefer to avoid water, but accidents can still happen. Drownings can happen in deep bodies of water such as swimming pools and lakes, or in shallow water such as a toilet bowl. Accidental fall into water (such as a swimming pool or lake) and are unable to get out. Caught in rising flood water. A fall through frozen water into a pond or lake. Intentional (throwing a cat into a body of water). Several life-threatening conditions are caused by near drowning, hypoxia in which there is a reduced concentration of oxygen in the blood. In response to water, the larynx spasms, to seal the airway, if it remains closed, the cat is unable to receive oxygen into the lungs. Note: Dry drowning is also sometimes used to describe secondary drowning. Approximately 10% of drownings are dry. The cat inhales large amounts of water into the lungs which prevent the cat from breathing. Secondary drowning can occur hours or days after the initial incident. There are a number of potential causes of secondary drowning in cats. Inhaled fresh water dilutes surfactant, lipoproteins present on the lining of the alveoli (tiny air sacs in the lungs which allow oxygen and carbon dioxide to move between the lungs and the bloodstream) to reduce surface tension. When surfactant is diluted, the alveoli collapse. Inhaled water causes excess fluid in the alveoli affecting their ability to exchange gasses. Both salt and freshwater cause inflammation in the lungs which in turn causes protein-rich fluid to pass into the alveoli. Salt water osmotically draws fluid from the bloodstream into the alveoli. This causes hypovolemia (decreased blood volume), as well as even more fluid, build up in the lungs. Fresh water is drawn from the lungs into the bloodstream causing hypervolemia (increased blood volume), hemodilution (diluted blood), electrolyte imbalances (hypernatremia) and severe damage to the filtering units of the kidneys. Pressure within the brain (intracranial pressure) can occur in cats who have had a near-drowning incident. Pull the cat from the water and immediately clear the lungs by swinging the cat upside down by the hind legs for 30 to 60 seconds. Remove the cat’s collar if it is wearing one. 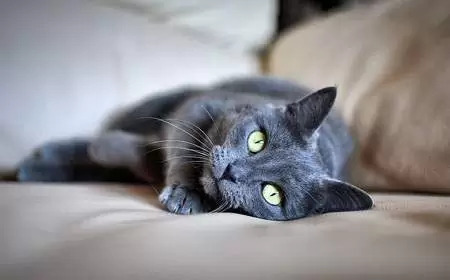 Listen or feel for a heartbeat by putting your hand against the left side of the cat’s chest or feel for a pulse in the femoral artery where the hind leg meets the body. Look for signs of breathing by placing your hand on the cat’s chest to feel the movement. If the cat is not breathing, administer CPR and artificial respiration. Open the mouth and sweep inside with your finger to remove any obstructions. With the cat’s neck straight, place your fingers around the snout to keep it closed. Place your mouth over the cat’s snout and gently blow hard enough so that the cat’s chest rises. Give one breath every 4-5 seconds, or 20 breaths per minute. If there is a heartbeat, continue breathing, if there is no heartbeat, commence CPR and artificial respiration. Place the cat on a firm surface and cup your hand over the chest, behind the elbows, squeeze the chest, pushing down approximately 1.25 cm (1 inch), give one breath for every 5 chest compression. CPR rate should be between 100 – 120 compressions per minute. Once the cat is stable and breathing, take him to the veterinarian. Wrap the cat in a blanket or towel to keep him warm in transit. If you have been unable to resuscitate the cat after ten minutes, proceed to the veterinarian who may be able to re-start the heart with administration of epinephrine. Even if the cat is seemingly well, any cat exposed to a near-drowning incident must be checked over by a veterinarian. The type of water the cat was submerged in? How long was the cat was in the water? Baseline tests: Complete blood count and biochemical profile to evaluate packed cell volume and electrolytes. Blood gas test: To evaluate the cat’s blood oxygen levels. Thoracic x-ray: To look for pulmonary edema (fluid in the lungs). ECG: To monitor the cat’s heart. Oxygen therapy will be given until the cat’s oxygen levels have returned to normal. This may be via a mask, oxygen tent or ventilation if the cat is not able to breathe on his own. Fluid therapy to correct electrolyte imbalances. Diuretics will be given to reduce intracranial pressure if cerebral edema is present. Antibiotics will be given in cats who have developed aspiration pneumonia. The cat will need to be closely monitored in a hospital setting during recovery. Keep your cat away from large bodies of water, this is even more important if the cat suffers from a medical condition which could result in an accidental fall due to loss of consciousness such as seizures or diabetes. Always close washing machine doors after use, and always check the barrel prior to turning the machine on. Cover fish ponds with wire mesh 1-2 inches below the surface. Always supervise young children with cats. Empty baths and buckets as soon as they are finished. Keep the toilet seat lid down at all times. In the event of a storm or flood, get all pets to higher levels of the home where possible. 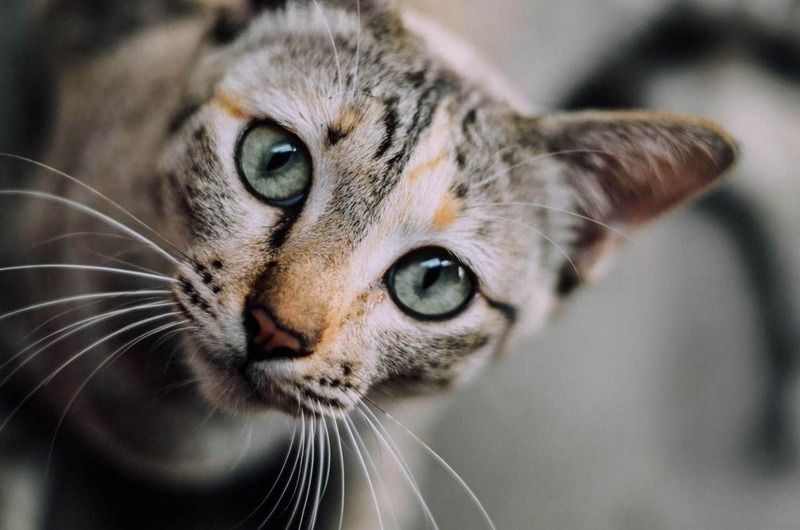 Next articleTea Tree Toxicity in Cats-Is Tea Tree Oil Safe For Cats?